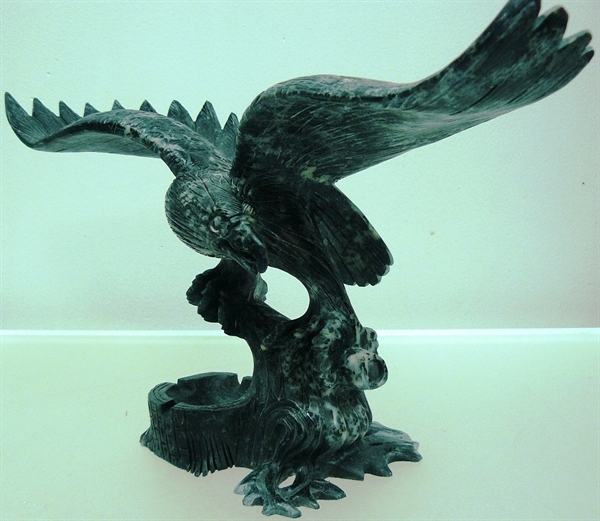 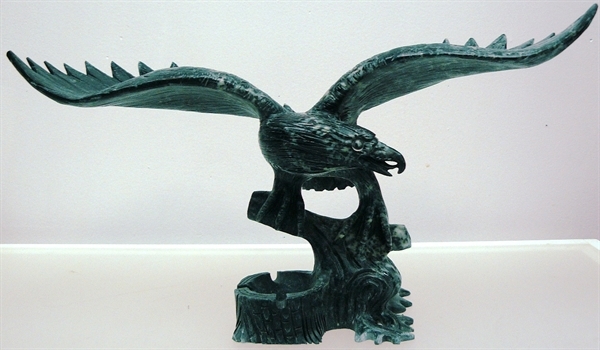 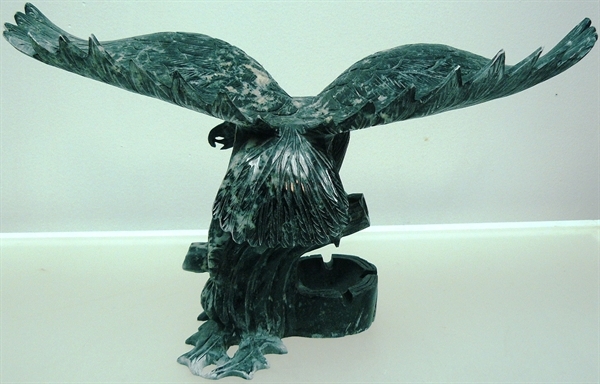 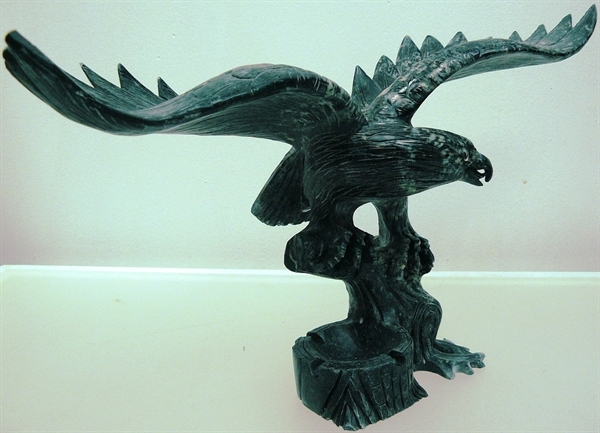 This black jade eagle is all hand carved from one solid piece of jade hard jade. 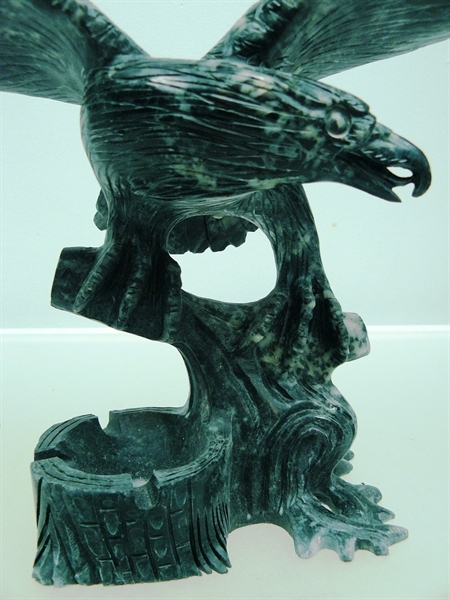 There is an ash tray carved on the bottom. Only one.